DHF has recently expanded our partnership with the Martin Luther King Jr. Freedom Center based in Oakland. Throughout the summer, students underwent an intense bootcamp based on the nonviolent teachings of MLK Jr. that included hands-on civic engagement opportunities, such as door-to-door voter registration in cities throughout the Pacific Coast. 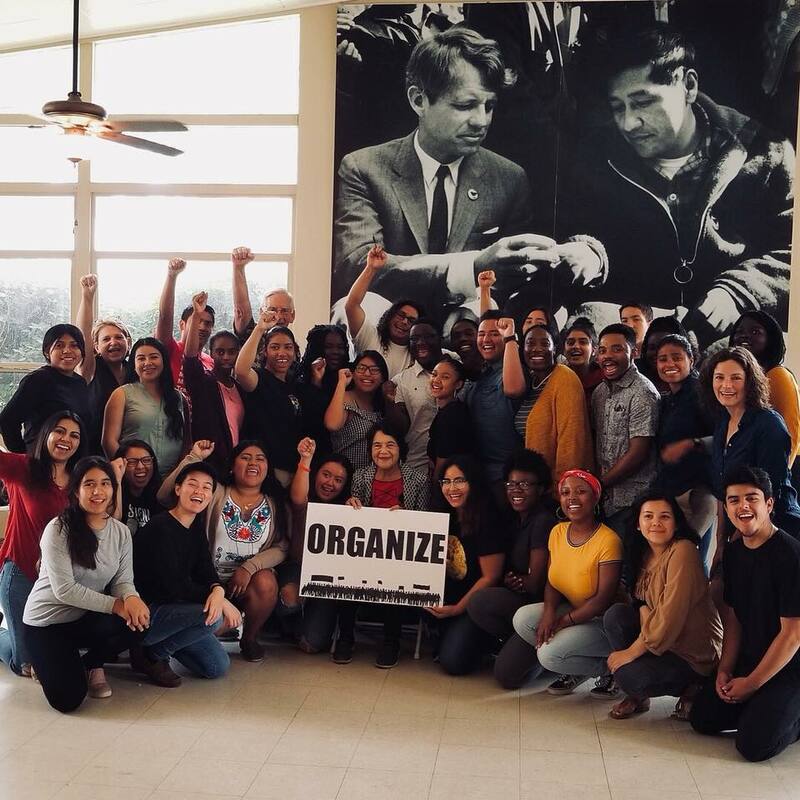 July 8th though the 14th, 2018, about 30 MLK Jr. students stayed at the Cesar Chavez National Monument in Nuestra Señora Reina de la Paz and went door-to-door to register voters in Bakersfield. 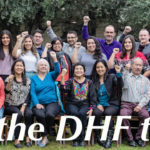 Dolores Huerta visited La Paz to talk to the group about the importance and challenges of organizing. Afterwards, Camila Chavez gave the MLK Jr. students a tour and detailed her childhood experiences growing up in La Paz before it became a national monument.